Victoria joins the Lifespan team as a Registered Intern Psychologist. 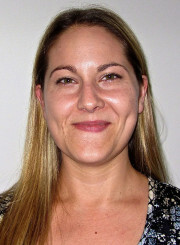 Victoria has previously worked as a Psychiatric Assistant in the Auckland Regional Forensic Psychiatry services, working with people who have a mental illness and/or intellectual disability within the context of criminal offending. Through working in this area of adult mental health, Victoria has gained experience with a broad range of psychological difficulties. Victoria has a broad interest in mood disorders, cognitive and adaptive functioning after traumatic brain injury, stress management, fear, and anxiety disorders. She has a strong interest in Cognitive Behavioural approaches and behavioural interventions, helping people learn to cope with their difficulties in addition to helping them build skills they can use in the future.